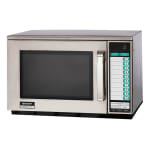 Built for high-powered performance in busy restaurants, hospitals, and cafeterias, the Sharp R-22GTF microwave oven will give you quick and even heating every time. 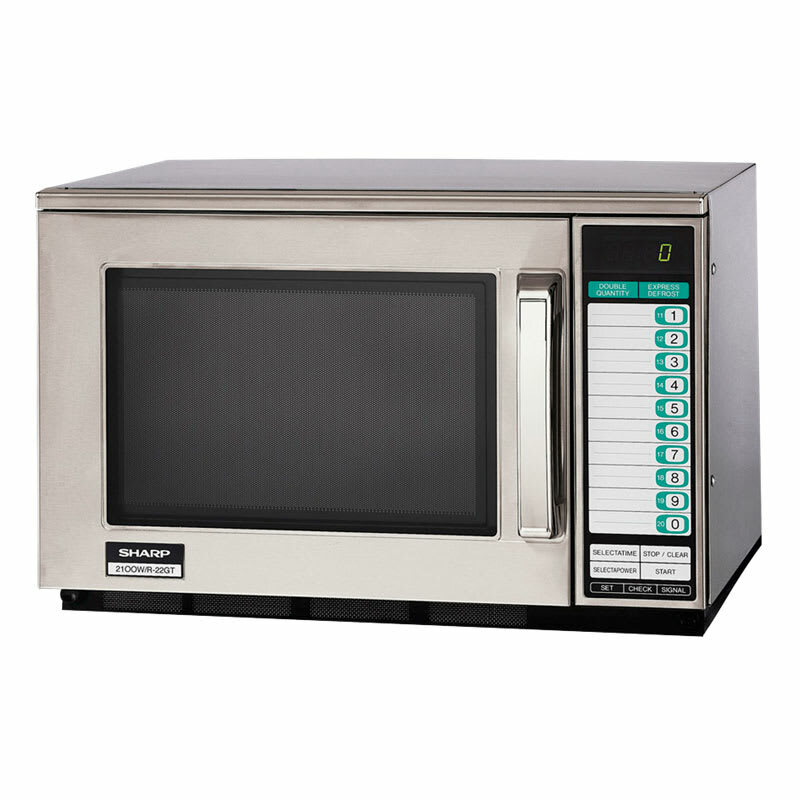 This medium-duty commercial microwave oven features dual magnetrons. The even heating is provided by top- and bottom-feeding microwaves that are distributed evenly throughout the oven. The stainless steel cabinet and cavity are highly resistant to corrosion, dents, scratches, and stains. The strong grab handle makes retrieving food easy and the interior oven light allows you to see your food easily while it cooks. The 10 microprocessor controlled programmable memory pads are easy to use and dependable, proving one second increment timing for exact control. You can use any of the 10 preprogrammed memory pads or program in menu items manually. There are 10 variable power levels available for precise control. This Sharp R-22GTF stainless steel commercial microwave oven also provides automatic optimum heating for two portions, which means no referencing or guess work. The lighted digital display shows programmed and elapsed heating times, plus a percentage of microwave power all with the highest levels of accuracy.